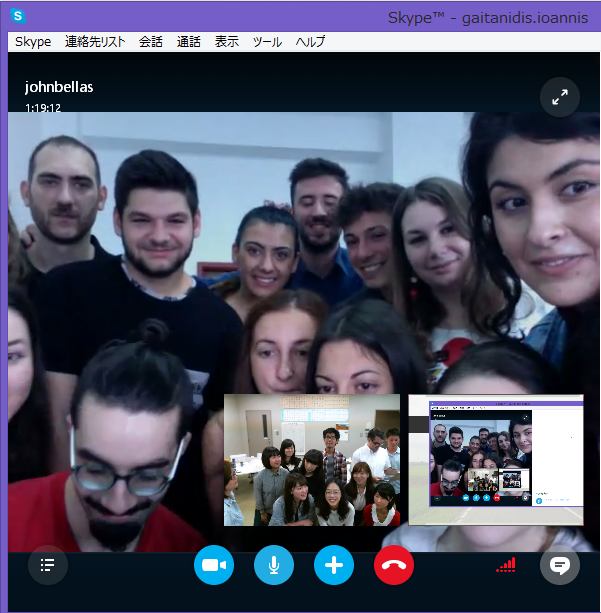 On Wednesday (September 30), we had the first post-course meeting, more than one month after we said goodbye at Narita airport. The dean of AUTh’s Faculty of Engineering, Professor Katsambalos, as well as the Head of AUTh’s Department of International Relations, Ms Kotsaki, joined us to share encouraging words about our second of year of activities, and about the future of our summer program. Later, recent news about our fieldwork sites, Ichinomiya and Kusu no Ki, were provided, with the happy announcement that at least one of the short-term plans (the treasure hunt map) devised by our students has been in the process of being implemented at Kusu no Ki.